We are able to produce annual high-resolution (30 m) agricultural subsurface drainage maps (known as tile drainage (TD) maps) for the Northern Great Plains regions of the U.S. using multiple satellite and model datasets via Google Earth Engine’s cloud computing platform. 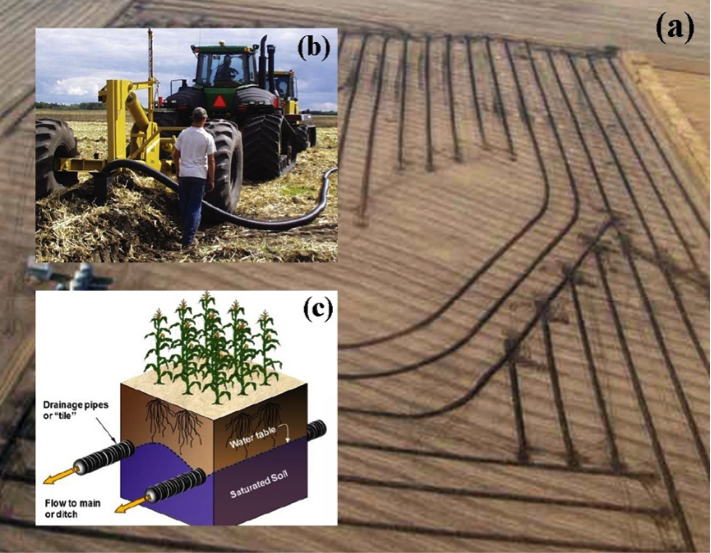 Soil properties, climate variables, and land surface temperature are the strongest predictors of tile drainage installation. Operational satellite data and machine learning provide a powerful TD detection technique that can be used to greatly improve water resource management and flood forecasting. The high-resolution (30 m) of Landsat-based vegetation and thermal products—including the normalized difference vegetation index (NDVI), the normalized difference Water index (NDWI), the enhanced vegetation index (EVI), the greenness index (GI) and shortwave infrared reflectance—develop high-resolution TD maps. 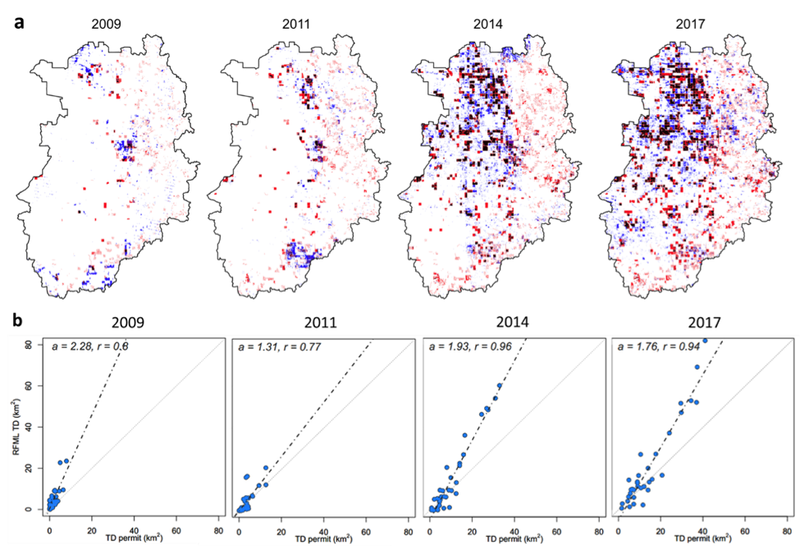 These maps clearly show within field TD effects on the soil water and temperature. Will the drainage maps you developed be used by NWS flood forecasting system? Currently the maps are produced for a limited extent that is of value to the NOAA/NWS North Central River Forecasting Center (NCRFC). In the upcoming year, we will work with their forecasters to determine the best approach for using the maps in their flood forecasting system. At the same time, UNH researchers are working the NASA’s GSFC Hydrological Sciences researchers to include the TD maps into NASA’s Land Information System (LIS). Successful integration will enable the evaluation of hydrological changes by recent TD expansion using the multiple land surface models (e.g. Noah, VIC, and NASA catchment model etc.) that are available in LIS. We expect that the maps will improve the capability of hydrological modeling and flood prediction in tile drainage dominated regions.